This soft desk mat can be customised with a text engraving of your choice. Available in a wide range of colours and leather textures, you may also choose the thread colour which appeals the most to you. 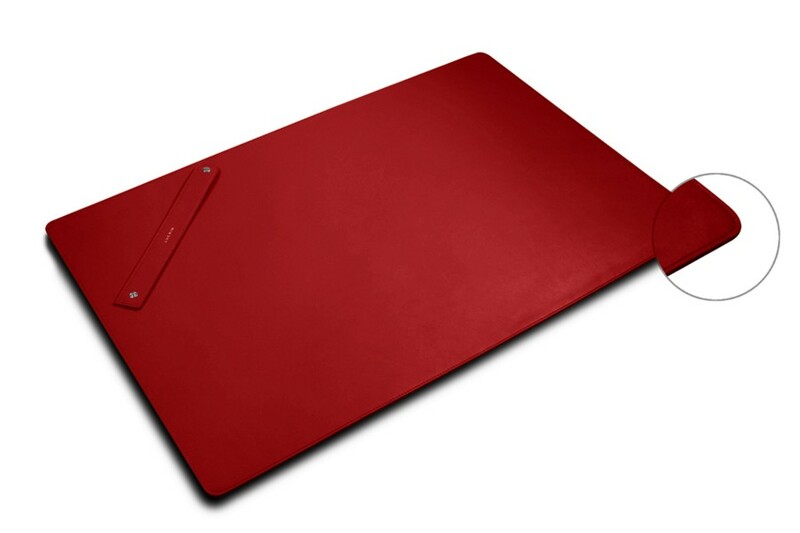 Here is the leather desk pad that comes as an alternative to the traditional rigid ones. 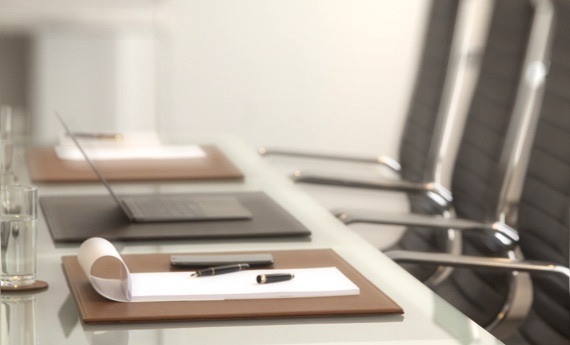 Its generous sizes are perfectly set for your office desk. 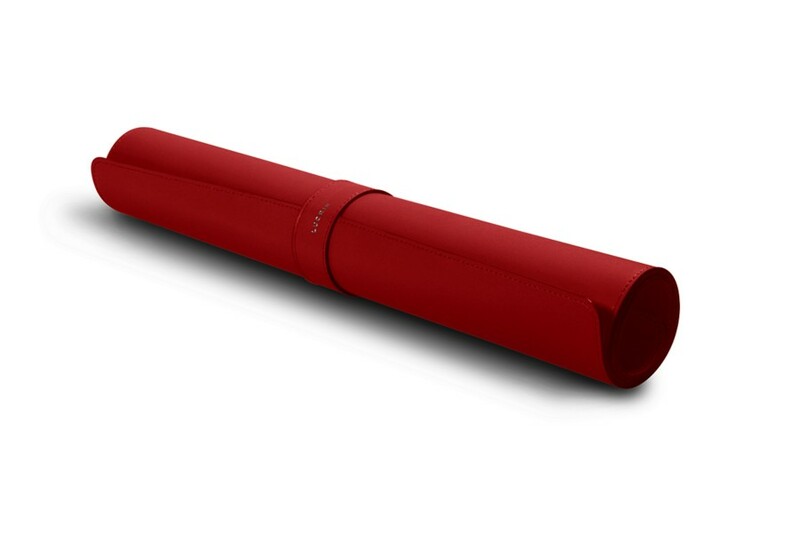 Underneath, there is a leatherette surface which avoids it from sliding on the table's smooth surface during use. 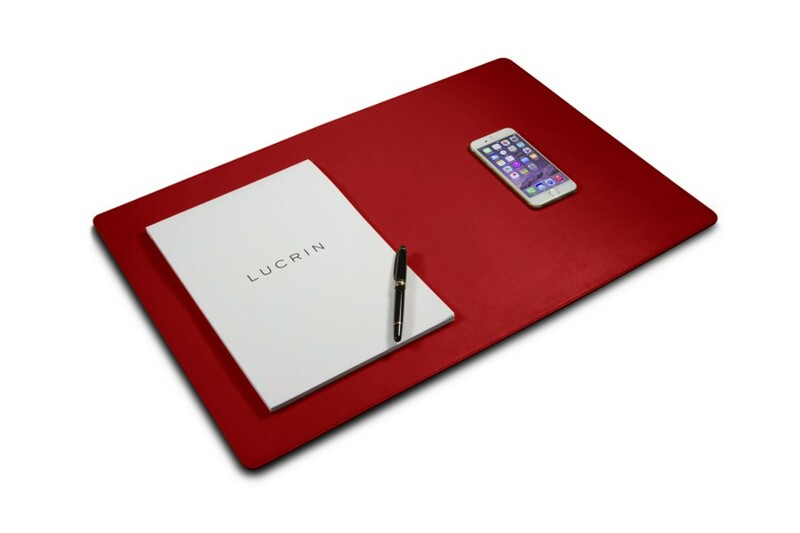 This soft leather desk pad is also ideal if you need to travel with it, as it has a pressure button loop closure that holds the rolled-up desk mat perfectly. This elegant office accessory is perfect your modern interior decoration, and is proposed in a large palette of smooth cow leather colours.